In Molly's Game (my latest review), we get a film based on a book and a true story. We also get a portrayal of a semi-protagonist who's in way over her head. Finally, we get the biggest amount of wayward chit-chat ever put on celluloid. Yup, this is Aaron Sorkin's sphere and we're just passing through it. Sorkin penned "Game's" screenplay so you know the actors words will be juicy and expository to the nth degree. You also know that Sorkin's work will have hints of cynicism and cruelness. Finally, you know that Aaron Sorkin will be making yet another cameo appearance. With "Game", he plays an underground poker player that's just hanging out. Anyway, Molly's Game has a similar arc to The Social Network (which is also written by Sorkin). And although "Game" isn't quite as invigorating, weighty, or compelling as "Network", it's still worth recommending. 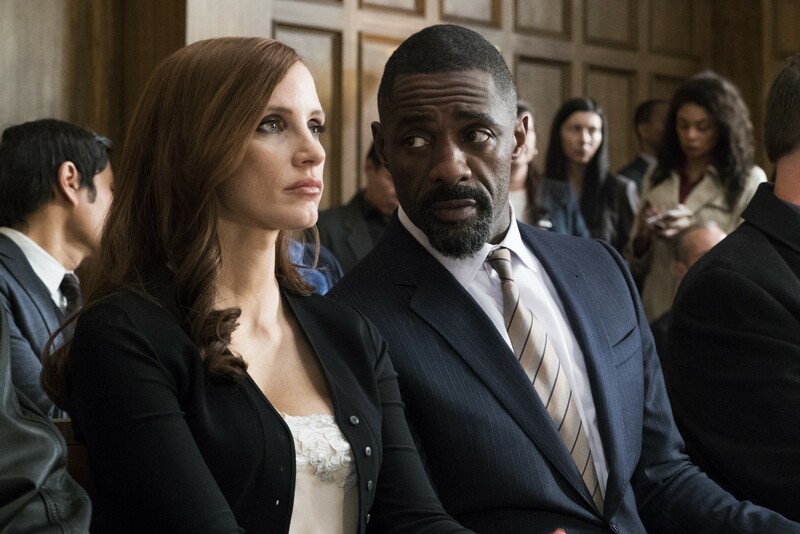 Edited tightly (even at 140 minutes), completely dialogue-driven, and containing ferocious performances from the likes of Jessica Chastain and Idris Elba, Molly's Game is about a former skier turned illegal Hollywood poker game runner. "Game" dodges between flashbacks and present day scenes involving Molly Bloom (Chastain) and her quest to avoid jail time. In the vein of card shark tactics, buy-ins, rakes, and Russian mafia inquests, you can safely call Molly's Game 1998's Rounders on steroids (ha-ha). In total veracity, I dug the intelligence and sophistication of a flick like "Game". This is Aaron Sorkin's first foray behind the camera and yes, he can direct as well as write. Sorkin shoots Molly's Game with a fast cutting style, a slow-motion know-how, and a rags to riches to rags residue. It's as if he were Martin Scorsese's unequivocal proxy. Firstly, Sorkin's a steamrolling director, sledgehammering character study interludes while filling the screen with countless details (his script feels like it's 5000 words long). Now despite not fully hitting its stride thematically and climatically, "Game" is nevertheless Aaron Sorkin in his highest comfort zone. This is him getting free rein to do whatever he wants. Basically this is Sorkin pushing the talky envelope. Sure his Molly's Game is overlong, over-explanatory, and narrative-binged (Chastain is like Ray Liotta talking twice as much as he did in Goodfellas). Regardless, this motion picture feels worldly-wised and more cultivated than your average, dumbed-down blockbuster. "Game" while no "royal flush", still checks in as the thinking person's moonlight drama. Rating: 3 stars.